The purpose of this video is to foster a love of music.  No copyright infringement of this recording is intended, but if you hold the copyright and would like this video removed, please let me know, and I will do so. Romeo and Juliet is an orchestral work composed by Pyotr Ilyich Tchaikovsky. It is styled an Overture-Fantasy, and is based on Shakespeare’s play of the same name. Unlike Tchaikovsky’s other major compositions, Romeo and Juliet does not have an opus number. In 1880, ten years after his first reworking of the piece, Tchaikovsky rewrote the ending and gave the piece the sub-title “Overture-Fantasia”. It was completed by September 10, 1880, but did not receive its premiere until May 1, 1886, in Tbilisi, Georgia (then part of the Russian Empire), under Mikhail Ippolitov-Ivanov. Paint: Il Bacio, Francesco Heyez (1859). Arrangement by Alexander Glazunov for violin and orchestra. The String Sextet in D minor “Souvenir de Florence”, Op. 70, is a string sextet scored for 2 violins, 2 violas, and 2 cellos composed in the European summer of 1890 by Pyotr Ilyich Tchaikovsky. Tchaikovsky dedicated the work to the St. Petersburg Chamber Music Society in response to his becoming an Honorary Member. The work, in the traditional four-movement form, was titled “Souvenir de Florence” because the composer sketched one of the work’s principal themes while visiting Florence, Italy, where he composed The Queen of Spades. The work was revised between December 1891 and January 1892, before being premiered in 1892. Tagged Arts council, AVROTROS Klassiek Inon Barnatan, Bleecker Street, carnegie hall, Cello Concerto (Dvořák), Cello Concerto (Elgar), Cello Concerto (Lalo), Cello Concerto No. 1 (Saint-Saëns), Cello Concerto No. 9 (Boccherini), Cello Sonata (Chopin), Internationaal Kamermuziekfestival Utrecht, Julian Rachlin, Op. 110, Pyotr Ilyich Tchaikovsky, schumann, Schumann: Pianotrio in g kl.t. A Life for the Tsar is a “patriotic-heroic tragic opera” in four acts with an epilogue by Mikhail Glinka. The original Russian libretto, based on historical events, was written by Nestor Kukolnik, Georgy Fyodorovich Rozen, Vladimir Sollogub and Vasily Zhukovsky. It premiered on 29 November 1836 at the Bolshoi Theatre in St. Petersburg. The historical basis of the plot involves Ivan Susanin, a patriotic hero of the early 17th century who gave his life in the expulsion of the invading Polish army for the newly elected Tsar Mikhail, the first of the Romanov dynasty, elected in 1613. A concert overture by Russian composer Nikolai Rimsky-Korsakov (1844-1908), based on themes from Russian Orthodox liturgical chant. In particular, Rimsky-Korsakov uses chant melodies from the “Obikhod” collection, referencing a number of biblical passages including Psalm 68 and Mark 16. The intention in this overture is not devotional – indeed, Rimsky-Korsakov was an atheist – but he attempted to capture “the legendary and heathen aspect of the holiday, and the transition from the solemnity and mystery of the evening of Passion Saturday to the unbridled pagan-religious celebrations of Easter Sunday morning” (quoted from the composer’s autobiography). The piece is also notable for its use of the unusual 5/2 and 3/1 time signatures. Video made by Maarten Kroon @ Hollandsk Gjestehus in Vinstra (Norway) / Our guesthouse website link: http://www.hollandskgjestehus.com / Tel. : +47 61290045. The overture debuted in Moscow on 20 August 1882, conducted by Ippolit Al’tani under a tent near the then unfinished Cathedral of Christ the Saviour, which also memorialized the 1812 defense of Russia. The overture was conducted by Tchaikovsky himself in 1891 at the dedication of Carnegie Hall. The overture is best known for its climactic volley of cannon fire, ringing chimes, and brass fanfare finale. 1. “Open” instrumentation consisting of “any extra brass instruments” available. In some indoor performances, the part may be played on an organ. Military or marching bands also play this part. 3. In the sections that contain cannon shots, actual cannon are sometimes replaced by recorded cannon or played on a piece of staging, usually with a large wooden mallet or sledgehammer. The bass drum and tam-tam are also regularly used in indoor performances. Beginning with the plaintive Russian melody of the Eastern Orthodox Troparion of the Holy Cross (also known as “O Lord, Save Thy People”) played by four cellos and two violas, the piece moves through a mixture of pastoral and martial themes portraying the increasing distress of the Russian people at the hands of the invading French. This passage includes a Russian folk dance, At the Gate, at my Gate (“U Vorot, Vorot”). At the turning point of the invasion—the Battle of Borodino—the score calls for five Russian cannon shots to counter a fragment of La Marseillaise. A descending string passage represents the subsequent retreat of the French forces, followed by victory bells and a triumphant repetition of O Lord, Save Thy People as Moscow burns to deny winter quarters to the French. A musical chase scene appears, out of which emerges the anthem God Save the Tsar! thundering with eleven more precisely scored shots. The overture utilizes counterpoint to reinforce the appearance of the leitmotif that represents the Russian forces throughout the piece. A total of sixteen cannon shots are written into the score of the Overture. The music can be interpreted as a fairly literal depiction of the campaign: in June 1812, the previously undefeated French Allied Army of over half a million battle-hardened soldiers and almost 1,200 state-of-the-art guns (cannons, artillery pieces) crossed the Niemen River into Lithuania on its way to Moscow. The Holy Synod, aware that the Russian Imperial Army could field a force only a fraction of this size, inexperienced and poorly equipped, called on the people to pray for deliverance and peace. The Russian people responded en masse, gathering in churches all across the Empire and offering their heartfelt prayers for divine intervention (the opening hymn). Next we hear the ominous notes of approaching conflict and preparation for battle with a hint of desperation but great enthusiasm, followed by the distant strains of La Marseillaise, the French National Anthem, as the French approach. Skirmishes follow, and the battle goes back and forth, but the French continue to advance and La Marseillaise becomes more prominent and victorious – almost invincible. The Tsar desperately appeals to the spirit of the Russian people in an eloquent plea to come forward and defend the Rodina (Motherland). As the people in their villages consider his impassioned plea, we hear traditional Russian folk music. La Marseillaise returns in force with great sounds of battle as the French approach Moscow. The Russian people now begin to stream out of their villages and towns toward Moscow to the increasing strains of folk music and, as they gather together, there is even a hint of celebration. Now, La Marseillaise is heard in counterpoint to the folk music as the great armies clash on the plains west of Moscow, and Moscow burns. Just at the moment that Moscow is occupied and all seems hopeless, the hymn O Lord, Save Thy People that opens the piece is heard again as God intervenes, bringing an unprecedented deep freeze the French cannot bear (the winter winds blow in the music). The French attempt to retreat, but their guns, stuck in the freezing ground, are captured by the Russians and turned against them. Finally, the guns are fired in celebration and church bells all across the land peal in grateful honor of their deliverance from their treacherous and cruel enemies. A children’s or women’s choir is added to the flute and cor anglais duet rendition of At the Gate, at my Gate. On 7 September 1812, at Borodino, 120 km (75 mi) west of Moscow, Napoleon’s forces met those of General Mikhail Kutuzov in a concerted stand made by Russia against the seemingly invincible French Army. The Battle of Borodino saw casualties estimated as high as 100,000 and resulted in a French tactical victory. It was, however, ultimately a pyrrhic victory for the French invasion. With resources depleted and supply lines overextended, Napoleon’s weakened forces moved into Moscow, which they occupied with little resistance. Expecting capitulation from the displaced Tsar Alexander I, the French instead found themselves in a barren and desolate city, parts of which the retreating Russian Army had burned to the ground. Deprived of winter stores, Napoleon had to retreat. Beginning on October 19 and lasting well into December, the French Army faced several overwhelming obstacles on its long retreat: famine, typhus, frigid temperatures, harassing cossacks and Russian forces barring the way out of the country. Abandoned by Napoleon in November, the Grande Armée was reduced to one-tenth of its original size by the time it reached Poland and relative safety. Although La Marseillaise was chosen as the French national anthem in 1795, it was banned by Napoleon in 1805 and would not have been played during the Russian campaign. It was reinstated as the French Anthem in 1879—the year before the commission of the overture—which can explain its use by Tchaikovsky in the overture. Although God Save the Tsar! was the Russian national anthem in Tchaikovsky’s time, it had not been written in 1812. There was no official Russian anthem until 1815, from which time until 1833 the anthem was Molitva russkikh, Prayer of the Russians, sung to the tune of God Save the King. Pyotr Il’yich Tchaikovsky (May 7, 1840 — November 6, 1893) was a Russian composer of the Romantic era. His wide-ranging output includes symphonies, operas, ballets, instrumental, chamber music and songs. He wrote some of the most popular concert and theatrical music in the classical repertoire, including the ballets Swan Lake, The Sleeping Beauty and The Nutcracker, the 1812 Overture, his First Piano Concerto, his last three numbered symphonies, and the opera Eugene Onegin. Anton Stepanovich Arensky (Russian: Антон Степанович Аренский) (12 July 1861 — 25 February 1906), was a Russian composer of Romantic classical music, a pianist and a professor of music. Arensky was born in Novgorod, Russia. He was musically precocious and had composed a number of songs and piano pieces by the age of nine. With his mother and father, he moved to Saint Petersburg in 1879, where he studied composition at the Saint Petersburg Conservatory with Nikolai Rimsky-Korsakov. 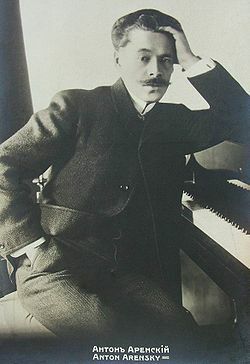 After graduating from the Saint Petersburg Conservatory in 1882, Arensky became a professor at the Moscow Conservatory. Among his students there were Alexander Scriabin, Sergei Rachmaninoff and Alexander Gretchaninov. In 1895 Arensky returned to Saint Petersburg as the director of the Imperial Choir, a post for which he had been recommended by Mily Balakirev. Arensky retired from this position in 1901, spending his remaining time as a pianist, conductor, and composer. Arensky died of tuberculosis in a sanatorium in Perkjärvi, Finland. It is alleged that drinking and gambling undermined his health. Pyotr Tchaikovsky was the greatest influence on Arensky’s musical compositions. 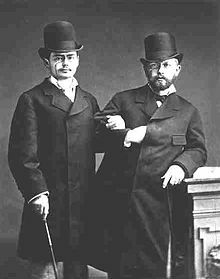 Indeed, Rimsky-Korsakov said, “In his youth Arensky did not escape some influence from me; later the influence came from Tchaikovsky. He will quickly be forgotten.” The perception that he lacked a distinctive personal style contributed to long-term neglect of his music, though in recent years a large number of his compositions have been recorded. Especially popular are the orchestral Variations on a Theme of Tchaikovsky based on one of Tchaikovsky’s Songs for Children, Op. 54. Sergei Rachmaninov composed his Piano Concerto No. 1 in F-sharp minor, Op. 1, in 1891, at age 18. He dedicated the work to Alexander Siloti. He revised the work thoroughly in 1917. 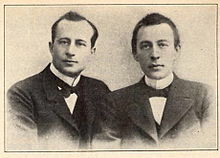 Rachmaninoff (right) with Alexander Siloti. This was actually Rachmaninov’s second attempt at a piano concerto. In 1889 he had begun but abandoned a concerto in C minor (the same key, incidentally, in which he would later write his Second Piano Concerto). He wrote Natalya Skalon on 26 March 1891, “I am now composing a piano concerto. Two movements are already written; the last movement is not written, but is composed; I shall probably finish the whole concerto by the summer, and then in the summer orchestrate it” He finished composing and scoring the piece on July 6 and was satisfied with what he had written. The first movement was premiered on 17 March 1892 at the Moscow Conservatoire, with the composer as soloist and Vasily Safonov conducting. This may have been the only time the composer played the concerto in its original form, although Siloti, to whom it is dedicated, programmed it to play himself on several occasions. Composition students were usually advised to base their efforts on a specific model for their first exercises in new forms. In Rachmaninoff’s case this was the Grieg Piano Concerto, which was a favorite work of his and one which he had been familiar from Siloti practicing it at the Rachmaninoff household during the spring and summer of 1890 for future concerts. Rachmaninoff adapted the entire musical structure of the outer movements to the Grieg concerto, literally building his music into it. With all his other concertos, Rachmaninoff would prove more enterprising. The Symphony No. 6 in B minor, Op. 74, Pathétique is Pyotr Ilyich Tchaikovsky‘s final completed symphony, written between February and the end of August 1893. The composer led the first performance in Saint Petersburg on 28 October [O.S. 16 October] of that year, nine days before his death. 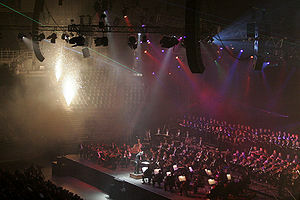 The second performance, conducted by Eduard Nápravník, took place 21 days later, at a memorial concert on 6/18 November. It included some minor corrections that Tchaikovsky had made after the premiere, and was thus the first performance of the work in the exact form in which it is known today. The first performance in Moscow was on 16 December [O.S. 4 December], conducted by Vasily Safonov. It was the last of Tchaikovsky’s compositions premiered in his lifetime; his last composition of all, the single-movement 3rd Piano Concerto, Op. 75, which was completed in October 1893, a short time before his death, received a posthumous premiere. A thrilling orchestral suite by Russian composer Nikolai Rimsky-Korsakov (1844-1908), based on music from the 1895 opera of the same name. The plot of the opera follows the short story “Christmas Eve” from Nikolai Gogol‘s “Evenings on a Farm Near Dikanka“. The same story also formed the basis of Tchaikovsky’s operas “Vakula the Smith” and “Cherevichki“. and 1880; the premiere of the complete set took place on 5 November 1882 in Prague, under Adolf Čech, who had also conducted two of the individual premieres. Vltava, also known by its German name Die Moldau (or The Moldau), was composed between 20 November and 8 December 1874 and was premiered on 4 April 1875 under Adolf Čech. It is about 12 minutes long, and is in the key of E minor. The piece contains Smetana’s most famous tune. It is an adaptation of the melody La Mantovana, attributed to the Italian renaissance tenor, Giuseppe Cenci, which, in a borrowed Moldovan form, was also the basis for the Israeli national anthem, Hatikvah. The tune also appears in major in an old folk Czech song Kočka leze dírou (“The Cat Crawls Through the Hole”), and Hanns Eisler used it for his “Song of the Moldau”. Russian composer Pyotr Ilich Tchaikovsky is best known for his vivid and colorful orchestral works, ballets and operas. However, in Russia he is equally respected and known for the 100 or so songs that he published during his career. These songs for voice and piano, some of which have been transcribed for orchestral accompaniment, are settings to works by Russian poets or to poems in their Russian translations. In style they are the equal match of the German Romantic lieder. None but the Lonely Heart is a poem by the German literary figure Johann Wolfgang von Goethe which appeared in his novel “Wilhelm Meister’s Apprenticeship“. It is one of the songs of Mignon, a character in the novel. The poem has been set to music by many composers, among them Pyotr Ilyich Tchaikovsky (via its translation into Russian) and has been set in many vocal, choral, and instrumental arrangements. Tchaikovsky dedicated this work to Anna (Alina Aleksandrovna) Khvostova, a Russian soprano and singing teacher who graduated in 1866 from the singing classes of Henriette Nissen-Saloman at the Saint Petersburg Conservatory, and went on to give concerts in Saint Petersburg, Riga and Warsaw. Her repertoire included many of Tchaikovsky’s romances, of which she was one of the earliest exponents. Her sister Anastasiya Khvostova was a close friend of the composer from his days at the Imperial School of Jurisprudence in Saint Petersburg. The Kontras Quartet plays Tchaikovsky’s String Quartet No. 1 Op. 11 quartet on their Chamber Classics II concert in North Carolina on Dec. 11, 2010. For more information, visit http://www.kontrasquartet.com. The String Quartet No. 1 in D major, Opus 11, was Pyotr Ilyich Tchaikovsky‘s first completed string quartet of three string quartets, published during his lifetime. (An earlier attempt had been abandoned after the first movement had been completed.) 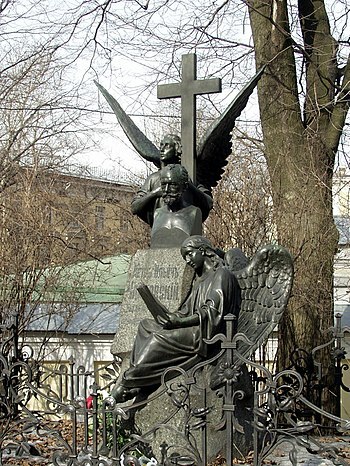 Composed in February 1871, it was premiered in Moscow on 16/28 March 1871 by four members of the Russian Musical Society: Ferdinand Laub and Ludvig Minkus, violins; Pryanishnikov, viola; and Wilhelm Fitzenhagen, cello. When the Zoellner Quartet, at her request, performed the second movement for Helen Keller, who rested her fingertips on a resonant tabletop to sense the vibrations, she, too, reacted strongly. Since the time of the composer, the Andante cantabile movement has frequently been performed in arrangements for string orchestra. The melody from the 2nd theme of the Andante cantabile, in D-flat major, was also used as the basis for the popular song “On the Isle of May”, popularized by Connee Boswell in 1940. ClassicalRecords is a Youtube channel where I upload some excellent performances from the LPs in my collection. I’m uploading these LPs because they are either not available on CD, out of print on CD, or just difficult to find. Captation vidéo : Vincent Bérczi. Mélodie (E-flat major; Tchaikovsky also described it as a “chant sans paroles”). The Méditation was written between 23 and 25 March 1878, in Clarens, Switzerland, where Tchaikovsky wrote his Violin Concerto. It was originally intended as the slow movement of the concerto, but he realised it was too slight for a concerto, so he discarded it and wrote a Canzonetta instead. On 16 May, back in Russia, he started on a work in three parts for violin and piano (the only time he ever originally wrote for that combination of instruments, although the Valse-Scherzo also exists in a violin and piano arrangement). On 22 May he told his brother Modest that it was going well. On 25 May he left for a two-week vacation on the Ukrainian country estate Brailovo (sometimes seen in English as “Brailov“), which belonged to his benefactress Nadezhda von Meck, where he finished the work by 31 May. For the first movement, he used the discarded Méditation, recasting it for violin and piano. The two additional movements, Scherzo and Mélodie, completed the Souvenir d’un lieu cher. While at Brailovo, he also completed the Six Romances, Op. 38, and sketched his entire setting of the Liturgy of St. John Chrysostom. Tchaikovsky had the original manuscript sent as a token of gratitude to Nadezhda von Meck, but he always intended to publish the work, so he asked her to arrange for a copy to be made, which was done by Władysław Pachulski, a member of von Meck’s household and later her son-in-law. This copy was sent to the publisher, P. Jurgenson. Tchaikovsky dedicated the work to “B*******”, which is understood to refer to Brailovo itself. It was published in May 1879, as Op. 42. In 1880, the Méditation was published separately, and has since become well known as an independent piece. The Scherzo and Mélodie were published separately in 1884. In 1896 Jurgenson published the complete work in an arrangement by Alexander Glazunov for violin and orchestra, and in this form it has perhaps become better known than in its original form for violin and piano. There is also an arrangement for violin and strings by Alexandru Lascae. While the Symphony No. 6 in C minor, Op. 58, of 1896 by Alexander Glazunov is not the most personally characteristic of his eight completed symphonies — the optimistic Third or the Olympian Fifth are more typical of his confident symphonic aesthetic — it is arguably the most typically Russian of his symphonies. Part of the reason for this is the scoring — violins in octaves above massed brass at its climaxes à la Tchaikovsky and gorgeously colorful woodwind writing in its central movements — part of it is the themes — ardent and powerful with a yearning quality characteristic of fin de siècle Russian symphonies — but most of it is the furious tone of the opening movement. ******With the darkly unfolding Adagio leading into a Allegro appassionato that balances a passionately despairing first theme with a fervently supplicating second theme, Glazunov’s Sixth sounds like a Russian symphony composed after the death of Tchaikovsky. But the Sixth is more than the work of a symphonic epigone. While the tone of the opening movement sounds typically Russian, its chromatic melodic and cogent harmonic structure makes it sound much more modern than contemporary symphonies by Kalinnikov or even Rachmaninov. Even more modern are the Sixth’s second and fourth movements. ******The second movement is a theme and seven variations that slowly transmutes the tone of the symphony from the fury of the opening movement to one of calm acceptance. ******The brief third-movement Intermezzo that precedes the Finale is lighter in tone than anything else in the symphony. “Pyotr Il’yich Tchaikovsky – Romeo and Juliet, fantasy-overture for orchestra in B minor, 1880. Maestro Valery Gergiev with the London Symphony Orchestra. The String Sextet in D minor “Souvenir de Florence“, Op. 70, is a string sextet scored for 2 violins, 2 violas, and 2 cellos composed in the European summer of 1890 by Pyotr Ilyich Tchaikovsky. Tchaikovsky dedicated the work to the St. Petersburg Chamber Music Society in response to his becoming an Honorary Member. The work, in the traditional four-movement form, was titled “Souvenir de Florence” because the composer sketched one of the work’s principal themes while visiting Florence, Italy, where he composed The Queen of Spades. The work was revised between December 1891 and January 1892, before being premiered in 1892.